When you’re starting your journey to find the right Porsche, there’s no better place to get started than Porsche Toms River. We have an extensive selection of Porsche models like the Boxster, 911, Macan, Cayenne, and more that you can browse to find the model that speaks to you. Our sales consultants will happily assist you every step of the way to provide you with the necessary details, specifications, trim levels, and options that you’ll need to know before you determine the perfect model for you and your style. They’ve got years of experience in automotive sales and excellence in customer service, so you can take comfort in knowing that you’ve got seasoned veterans who are here to help. At Porsche Toms River, our core belief is that the customer always comes first, and they deserve a luxurious experience when they’re buying a luxury car. One of the benchmarks of the experience is the test drive. It’s your chance to get a feel for the vehicle you’re interested in to help confirm your feelings. When you step inside, you’ll be able to experience the soothing leather seats, the refined cabin, the sophisticated features and technology, and, of course, the performance. While you’re out on the road, you’ll feel the remarkable power through the steering wheel and the accelerator. Once you’ve taken the test drive, you’ll know that it’s the perfect choice for you. The final step towards taking your Porsche home is through Porsche financing. Our financiers will carefully lay out your options, so you can determine the best financial route for you. Whether you’re planning a lease or purchase, our team will go to work to come up with a plan, a rate, and terms that work for you. Above selling cars, our number one priority is to our drivers and their ultimate satisfaction. A Porsche model is a finely crafted machine that requires the right care and attention to not only achieve its optimal performance but to endure and retain its condition over the years. At Porsche Toms River, we’ve got an entire team of Porsche-certified expert technicians that will help you get the most out of your luxury car. Whether it’s a quick and easy type of maintenance, or a more involved and complex repair and replacement, your Porsche is in the best hands possible. They’ll work diligently to get you and your vehicle back out on the road. Schedule your Porsche auto repair online with us today! 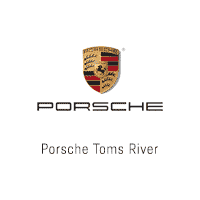 Porsche Toms River is proud to provide an exceptional experience, versatile options, and the highest level of service to drivers in Princeton, Cherry Hill, and Eatontown who are on the journey towards the right luxury car. Schedule a test drive of a new or used Porsche with us right here online.